Set includes 50 interlocking building pieces. Basic building block kit, soft easy to assemble pieces. Bristle Blocks are fun, easy to join and you can use your imagination to create your own design or reproduce one of the examples on the box. 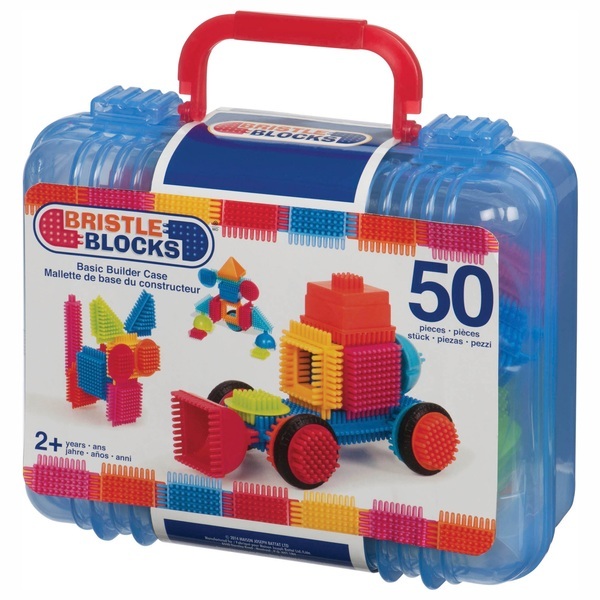 This bright, colourful Bristle block set is the perfect fun and an educational gift for your little one. EU Warning: Not suitable for children under the age of 2 years due to small parts which could cause a choking hazard.